Dr. Vivian Schiedler is a board-certified oculoplastic surgeon and also a member of the American Society of Oculofacial Plastic and Reconstructive Surgery. She is highly trained and skilled in the field of ophthalmology, specializing in reconstructive and cosmetic surgery of the eyes and brows. Her extensive training and expertise allow her to work with the precision and finesse that microsurgery requires. Oftentimes, ocular procedures use sutures that are so tiny, they can only be seen under a microscope. Dr. Schiedler enjoys performing procedures that encompass the full spectrum of ophthalmic and orbital surgery, including functional and cosmetic work. Whether the goal is to preserve vision or enhance a patient’s natural beauty, she strives to artfully shape and restore the eyes and face to their best possible outcomes. In fact, Dr. Schiedler believes in taking a customized approach and tailoring each procedure to the patient’s unique characteristics. This often requires taking the time to carefully listen to each patient’s concerns and goals. After that, the team develops a treatment plan that is right for the patient. At Oasis Eye Face and Skin, we understand that there is no one-size-fits-all approach in oculoplastic, so patients shouldn’t be treated in that manner. Dr. Schiedler was destined for a career working with “tiny” things and helping people. Growing up, Dr. Schiedler was always attracted to tiny things and even had a miniature glass collection. Her fascination for the miniature set the stage for a career in oculofacial plastic and reconstructive surgery. Although she was born in Mexico City and learned Spanish as her first language, she spent most of her childhood in Oregon. Later on, she acquired an expanded cultural horizon during her year as an exchange student in Belgium and even learned French in the process. 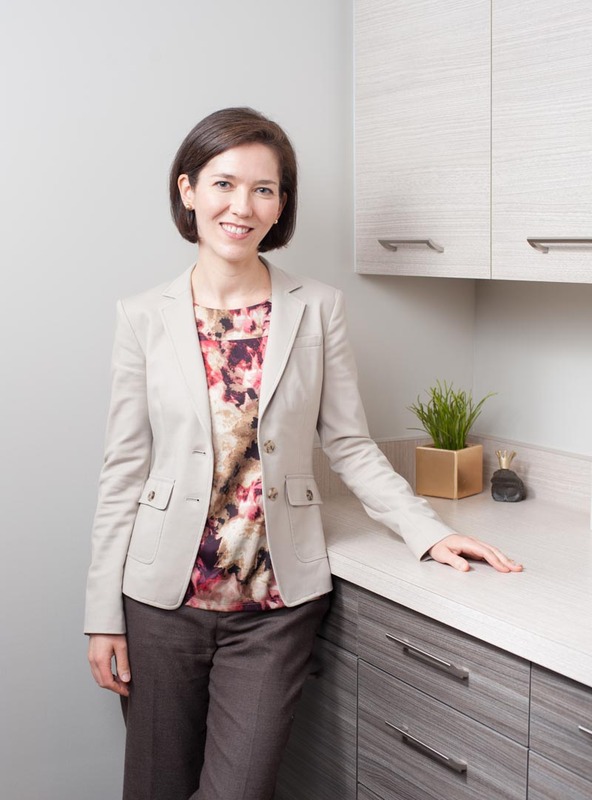 Dr. Schiedler’s desire to help people became evident while attending Stanford University, where she majored in Human Biology and graduated with honors. She went on to attend medical school at the University of California San Francisco (UCSF), which is ranked as one of the top 10 medical schools in the nation. When she had to decide on her specialty, it was a natural fit to pursue a career in ophthalmology given her love for intricate and tiny details. She attended Bascom Palmer Eye Institute to complete her residency. This residency is ranked at #1 and gave her an opportunity to train with world-renowned oculoplastic surgeons Dr. David Tse and Dr. Thomas Johnson. It was there that she was able to truly hone her skills and discover who she wanted to be as a surgeon. Knowing that the Pacific Northwest was her home, she decided to head west to refine her skills as an American Society of Ophthalmic Plastic and Surgery fellow at the University of Washington in Seattle. She completed over 1,400 cases in two years at this competitive program. She has published several articles and book chapters and has been a presenter at many national ophthalmic and oculoplastic conferences. Further demonstrating her desire to help others, she spent time abroad in Nepal, Ethiopia, and Honduras working in areas with limited access to oculoplastic surgeons. She worked for several years at Kaiser Permanente in San Diego, where she served a population of 500,000, worked with a wide variety of oculoplastic problems, and took on more than 400 surgical cases per year. Wanting to return to her family in Oregon, Dr. Schiedler and her husband Charlie moved back to the Pacific Northwest where they fell in love with Ashland in 2012. She is now practicing in Ashland, where she started Oasis Eye Face and Skin. Her hope is that this clinic will provide an intimate setting where patients can receive exceptional and customized care. To her – it is all about the patient and their needs. Exploring the many parks and trails of the Ashland and Medford areas is a favorite activity that Dr. Schiedler enjoys alongside her husband, young son, and friends. Unlike several larger cities where she’s lived before, she’s been able to quickly make many deep friendships in this vibrant community. In her spare time, Dr. Schiedler plays the piano, likes to swim, tries to find children’s books in Spanish for her son, and looks forward to a strong cup of aged pu-erh tea every morning.